Hello, hello, hello, and welcome! 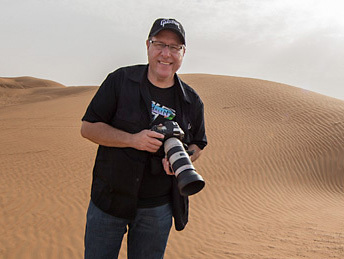 It’s #TravelTuesday here on Scott Kelby’s Photoshop Insider so I, Dave Williams, am here for you! Yes, that’s right, for you! Every week, right here, I try to either get your cogs turning or share something to make your life a little easier or a little better. (And, it’s no easy task, let me tell you!) But, first off, I have a little story to share with you about an encounter I had with a fox, during which I learned exactly what is and what isn’t covered by the warranty offered by BlackRapid—you can read that here. Moving on, however, let me tell you what I came here to tell you! Using Adobe Spark Post, it’s really simple to bring one of your iPhone Live Photos to life as a video to easily share anywhere. It’s so easy it’s actually going to make for a really, really short post (so I may have to drag it out somewhat ;-). First up, we need to launch the Adobe Spark Post app on an iPhone. Within the app, get a new project up and running. Next, let’s add a photo. By selecting a photo already present in the post, or by using the Add Image option, select Photo Library from the list and find the Live Photo in your Gallery. When adding the photo you’ll get the option seen here to select either the Photo or the Live Photo. Let’s choose Live Photo. When the entire post is complete, hit Share in the upper-right corner, then select Video rather than Image. I hope you enjoy trying this method! Adobe Spark Post is available in the Adobe CC Photography Plan and there’s a bunch of information about the Adobe Spark suite on KelbyOne.com. You Said Something I Disagree With. You Must Be Getting Paid. Adobe is giving all Full Conference Attendees to the Photoshop World Conference in Vegas a FREE 12-month full Creative Cloud subscription. Whoo Hoo!!! Previous PostOUR CYBER MONDAY DEALS – PLUS OUR “1-HOUR ONLY” SCREAMIN’ DEALS” ARE BACK!